YoYoExpert Blog & Yo-Yo News – 2015 Mystery Box – Official Pre-Release Information! It is getting official! The 2015 Mystery Boxes are one of our most exciting yet! 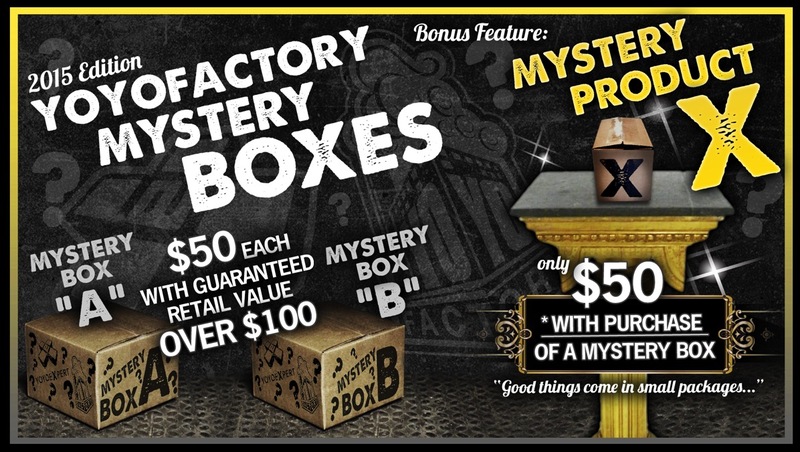 Not only is there TWO amazing options to score a Mystery BOX – there is a Mystery PRODUCT you do NOT want to miss out on! Official release times and further details being announced Monday (11/23/15).